Looking for a big hot tub? Not just one that can accommodate many people but can also be used as a single-person swimming pool? You’re looking for a swim spa! 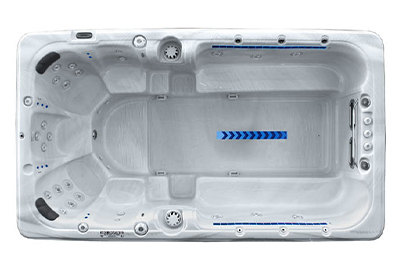 These amazing home hot tubs are the ultimate in big hot tubs, accommodating up to eight people and allowing people to get the exercise they desire in a swimming pool. 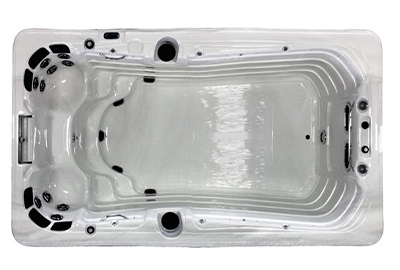 Check out these new hot tubs from our North Carolina hot tub company today! Weight (approx. ): Dry 2,200 lbs. / Filled 13,800 lbs. 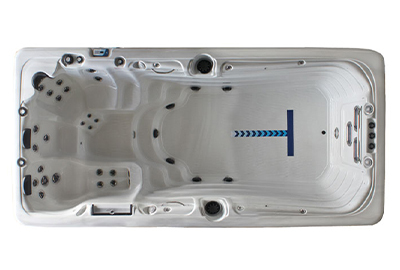 The Aquex Pro Series 17 swim spa is a single cavity unit. It has plenty of room for 4 adults and 1 swimmer, and has 30 illuminated stainless jets and 3 illuminated river jets powered by three – 5.0 bhp Viper™ pumps and one – 7.0 bhp pump. It has 6 illuminated fountain jets, waterfall, pillows, underwater lighting, and a maintenance free skirt. Includes an Infinity® BTFM Stereo System w/Waterproof Remote, 4 LED Marine Grade Speakers and Subwoofer, It also has an enhanced filtration system with the plasma ozone feature. 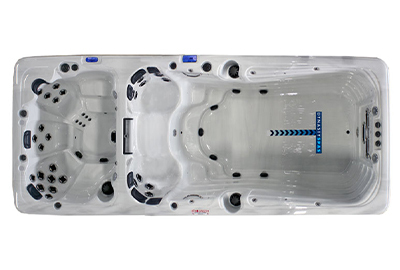 The Aquex Pro Series 19 swim spa is a dual cavity spa and it is our largest model. It measures 19′ and accommodates 7 adults and 1 swimmer. It has 42 illuminated stainless steel jets and 3 powerful illuminated river jets. It is powered with three 5.0 bhp Viper™ pumps, two 7.0 bhp pumps, and has the ozone equipped enhanced filtration system. It also comes with an Infinity® BlueTooth stereo, 8 Illuminated fountain jets, waterfall, pillows and attractive underwater LED lighting. The Pro 19 swim spa is a great option for the entire family for years of fitness and fun. Learn More about our swim spas by clicking the links below!